The IAC's May luncheon will be Tuesday May 23rd, 2017, at the Willard Hotel. 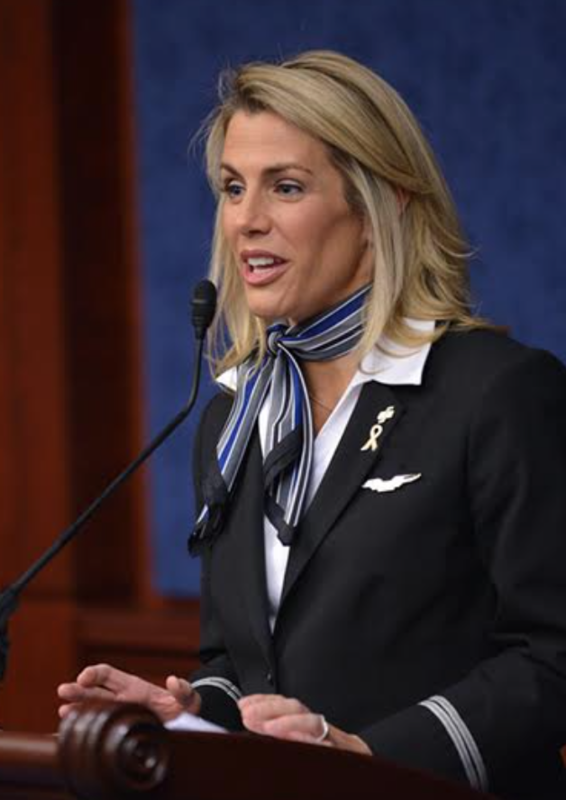 Sara Nelson took office as the International President of the Association of Flight Attendants-CWA, AFL-CIO on June 1, 2014, having served International Vice President from January, 2011 through May, 2014. Sara became a United Airlines Flight Attendant in 1996 and has been a union activist since nearly the beginning of her flying career, including leading communications for nearly 10 years at AFA's United chapter. Sara is passionate about her union's historic work to build the Flight Attendant profession and AFA's continued mission to achieve fair compensation, job security, and improved quality of life for aviation's first responders as well as a safe, healthy and secure aircraft cabin for passengers and crew alike. As an international officer she helped steer the US Airways/America West and United/Continental/Continental Micronesia merger contract negotiations to successful ratified agreements. Among accomplishments in Washington, DC, Sara led the 90 day campaign for "100 Eyes in the Skies" and last year achieved mandatory training for Flight Attendants to recognize and report human trafficking. Sara grew up in Corvallis, Oregon and earned a bachelor's degree from Principe College with majors in English and Education before joining United Airlines as a Flight Attendant. Sara remains qualified as a current Flight Attendant while serving as International President. She resides in the DC area with her husband, David Borer and son Jack.